Last year Clarke and Rumsey – who have worked together on research at the Centre for Appearance Research based at the University of the West of England for many years – were asked to sit on a working group for the Nuffield Council on Bioethics. 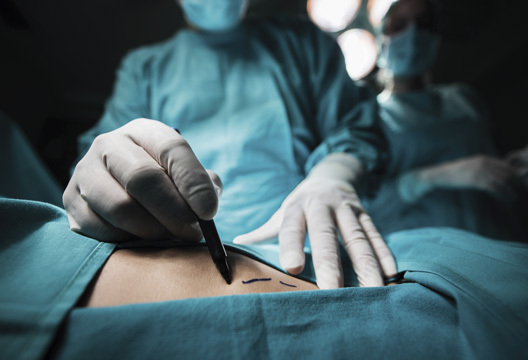 While many reports, recommendations and guidelines have been released over the years raising concerns regarding the regulation of surgeons in private practice, the Nuffield Council report also examined wider psychosocial factors behind people seeking out aesthetic procedures. The report made recommendations at a societal and government level. A diverse range of recommendations were directed towards various official bodies, including government departments of health and education. The need for advertising bodies and social media companies to play a larger role in reducing the rise of body image anxiety was highlighted. The report also pointed to a significant role for psychology in research on the impact of procedures on wellbeing, and potentially screening patients for problems such as body dysmorphic disorder (BDD) prior to surgery. The Centre for Appearance Research has been at the forefront of exploring aesthetic plastic surgery in more depth. Rumsey, Clarke and colleague Dr Nicole Paraskeva developed a quick pre-operative assessment aid for surgeons to use with patients to clarify their motivation to undergo the procedure, their expectations of outcome and signs of potential risk factors such as BDD. Yet they were unable to get funding to further their investigations. Surgeons have responded to the Nuffield report, and one professional body, the British Association of Aesthetic Plastic Surgeons (BAAPS), in association with the Royal College of Surgeons, has developed training that includes a module on psychological issues and risk factors, which Clarke and Rumsey teach. It has also asked them to form a special interest group in psychology; the eventual aim, they told me, is to create a network of practitioner psychologists from health and clinical backgrounds to carry out screening and assessment of potential patients, to act as advisers for surgeons who want to better implement psychology within their practice, to develop auditing methods for patients and to carry out research in this field. Clarke, who previously worked with the charity Changing Faces and within the Royal Free Hospital with people who had had reconstructive surgery, said there’s even a lack of psychologists in NHS burns units and other plastic surgery centres where one may expect to find them. She said there may be a slight reluctance for clinical psychologists, who usually train in the NHS and remain there, to work within the private sector. Clarke emphasised that there was a role for all practitioner psychologists within the special interest group: ‘We’d like to get people together and hammer it out. This is about establishing what we think would work, what’s pragmatic, how it happens and how we embed it in BAAPS so a BAAPS surgeon can say “I think I have an issue here” or even better “I’m setting up a private practice and need a psychology pathway – who can I talk with to put it into place so it’s there if I have issues with patients?”.’ Eventually, Clarke said, she hopes it becomes accepted among patients that having a cosmetic procedure will often require a visit to a psychologist, which may lead to an intervention prior to surgery, for example. She emphasised, however, that psychologists would not act as gatekeepers to surgery. On the RCS professional skills masterclass, surgeons are taught about the growth in body-image anxiety and what has driven it, and how to spot patients who may not have a good outcome from surgery. ‘It’s terribly important people are able to identify body dysmorphic patients and people who are pretty unlikely to do well. It’s about flagging up how these people present themselves. You can read in a paper about signs and symptoms, but what do you look for when someone comes in the door and sits down and you start to have a conversation, what are the things about them that make you think “I’m not quite sure I’m going to be able to meet this person’s expectations?”,’ Clarke said.